Red-white Ryukin again! Yes, of course. 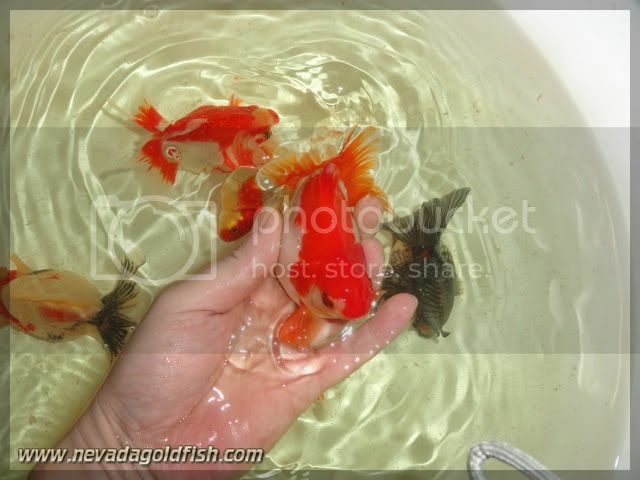 I imported many red-white goldfish because of many requests for this pattern coloration. Also this is still new year, and we are entering Chinese New Year's Festival in near future. 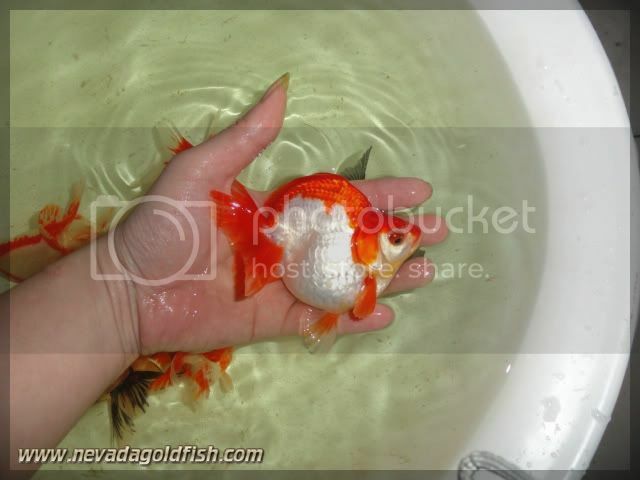 Goldfish with red basic colour is so high demand. Plus this Ryukin is has a perfect fins and tail!